By the end of May 2014, Gujarat had stopped being a living state. It assumed an identity—almost reaching mythical levels—called the “Gujarat Model”. It fuelled over 800 million voters’ aspiration, cutting across the rural and urban segments. Expectedly, this ensured India’s first post-independence born Prime Minister Narendra Modi storming Parliament with a historic win. For each of those 300 plus Members of Parliament from the Bharatiya Janata Party (BJP or the NDA alliance) elected to the Lok Sabha in 2014, the “Gujarat Model” was the ticket to victory. Modi became the mascot of development. He was the chief minister of the state by then for 17 years. In a sample of 100 speeches he made during the election campaigns, “Gujarat Model” appeared around 700 times. Cut to December 2017. BJP won its sixth consecutive state election. But in its victory, ironically, the dream run of the “Gujarat Model” got a rude reality check. The election saw both the ruling and the opposition parties claim victory. But the real story was in the details of how the state’s voters voted the BJP for its slimmest number of seats in over 22 years. Gujarat elections were more about the state’s precipitating rural distress than the electoral fortune of a ruling party. Close to 50 per cent of the voters in 2017 under the age of 34 years have not seen or voted a non-BJP government. Thus the narrow victory of the ruling party that used to be also backed by rural voters is a development demarche on the “Gujarat Model”. Way back in February 2017, Ramji Patel was convinced that the spectacular economic growth of Gujarat meant nothing for farmers like him. For people like him it has always been a struggle for the basics. On February 14, the 60-year-old farmer was put behind bars for demanding water from the Narmada Dam canals, a project that Modi inaugurated just before the elections to further reiterate his model of inclusive development. Ramji was one among the thousands of farmers who were demanding water from canals just 15 kilometres from his village Upardal in Ahmedabad district. They were on a protest march to the state capital Gandhinagar. Police stopped them from going ahead and the resulting lathi-charge injured hundreds and many were thrown in jails. Their desperation for water was understandable. For years, they depended on groundwater which had turned saline in recent years. But the ruling dispensation always offered them the solution of canal water from the Narmada Dam. But for years that never materialised. Atmaram Patel, a farmer from Nani Kishol village in Ahmedabad district, says, “Despite Narmada canal passing in nearby areas for the last few years, we never got water. We have been pleading with officials and politicians but to no avail.” In the run-up to the elections, the state not only witnessed protests by farmers for water, but also for the right prices for their produce. There were protests by landed communities for reservations in government jobs and there were protests by fisherfolk against industrial projects impacting their catch. Each and every community belonging to every economic and social stratum protested or showed dissent. And their point of convergence: the economic growth didn’t yield benefits to all, particularly to the state’s over 50 per cent rural population. The election results were just a democratic outcome of these brewing resentments. After an intense campaign by Modi, BJP managed to win just 99 assembly seats, a fall from 122 in the 2012 elections and its lowest ever tally since 1995. All these seats which it lost are in rural Gujarat; especially in Saurashtra region which has 73 per cent rural population. 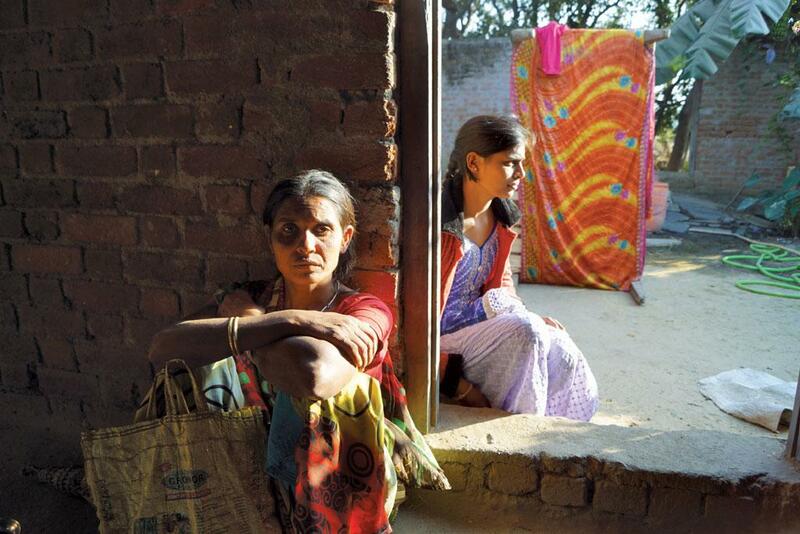 The rural population has retaliated and routed out BJP from many parts. Even border and tribal districts have hurt BJP. “The seven districts from where BJP was routed out are completely rural,” says Ashish Ranjan, senior researcher, Trivedi Center for Political Data, Ashoka University, Haryana. “In another eight districts, mostly the border ones, BJP got one seat in each,” he adds. This election also brought the rural-urban divide to the fore. 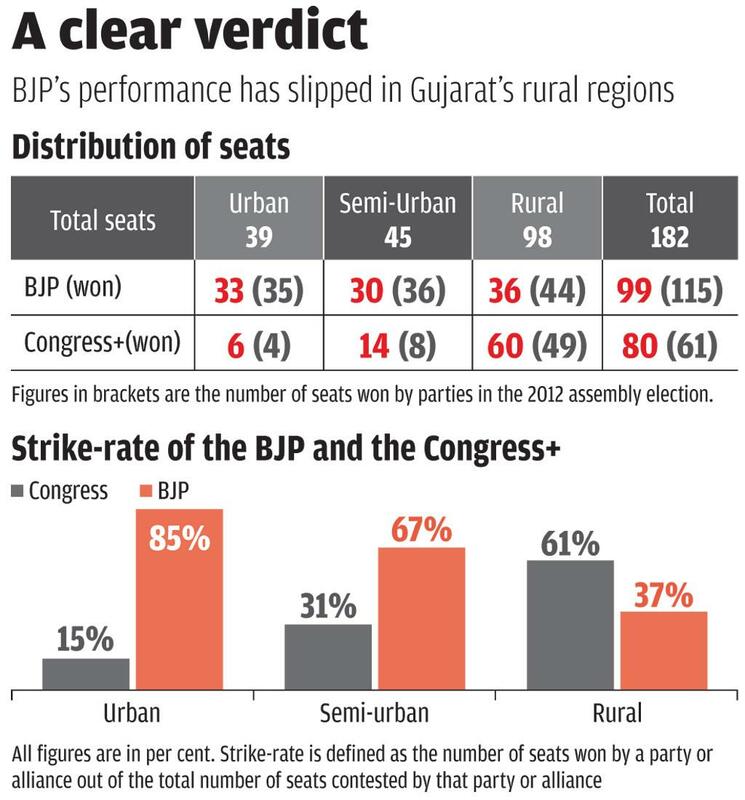 The BJP lost its ground in rural Gujarat, but gained in urban areas. Out of a total of 182 seats, the opposition party Congress along with its alliance managed 80 seats. The vote percentage of BJP increased from 47.8 per cent in 2012 to 49.1 per cent in 2017. The seats though reduced to 99 from 115. Whereas, Congress increased its vote share by 2.5 and reached to 41.4 per cent and increased its seats share from 61 to 80. Out of a total of 127 rural and semi-urban seats, the Congress got 71 seats—the party got almost 90 per cent of total rural seats. Out of a total of 58 rural seats, the Congress won 37 and BJP won only 20. In urban areas, the BJP won 45 seats and Congress won a mere 8, indicating a sharp rural and urban divide in voters’ preferences. The ruling party’s performance in Kutch and Saurashtra regions has been diminishing, where it won 23 seats in comparison to 30 seats of Congress. 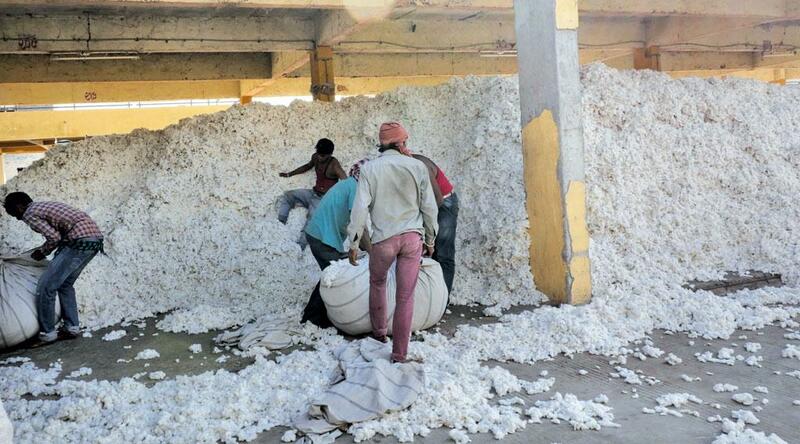 Known for the cultivation of cotton and groundnut, Saurashtra has almost rejected the ruling party. In the region, there are seven districts where BJP has been routed. These districts include Amreli, Morbi, Surendranagar and Somnath. Going by the performance of the ruling party, there is a distinct link between its electoral fortune and a region’s intensity of agrarian economy. 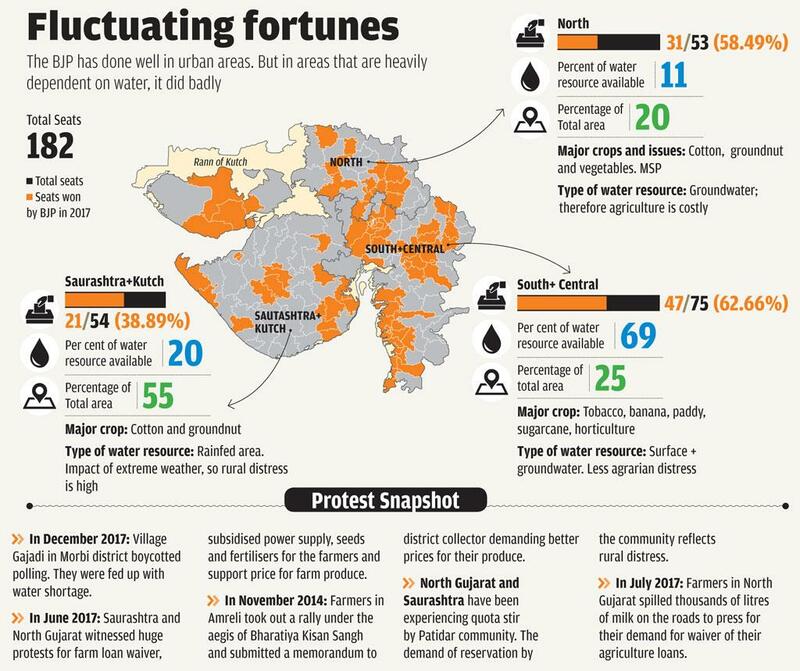 Experts divide Gujarat into three regions based on water availability and types of agriculture: North Gujarat, South Gujarat and Saurashtra. South Gujarat is the state’s most water-rich region accounting for 71 per cent of the state’s water resources. It is also agriculture-intensive with majority of farmers into cash crops like tobacco, paddy, sugarcane and banana. This region is also a hub of cooperatives that ensure better produce marketing. “So, in this region there is not much water crisis and also farmers don’t bother much for government’s minimum support prices,” says Sagar Rabari, Secretary of Gujarat Khedut Samaj, an association of over half a million farmers. Going by the recent farmers’ protests in the state, this region didn’t witness any major protests. The BJP won 26 out of 35 assembly seats in this region. Now, let’s look at North Gujarat—the hub of cotton, groundnut and vegetable cultivation in the state and dominated by the Patel community—where BJP won 31 out of 51 seats. In the early 2000s, this region propelled the state’s agricultural growth with earnings from cash crops. The government, through community participation, invested heavily on small groundwater recharge structures in early 2000s after three consecutive droughts. But a significant number of farmers in this region depend on groundwater for irrigation. Most of these structures are now defunct as government programmes are focused on big projects like the Narmada Dam for irrigation. “In comparison to South Gujarat, this region is more water-stressed. Dependence on groundwater and constantly declining water levels has added to the cost of irrigation. So here, the farmers are out in the streets demanding better deal for their produces,” says Rabari. This is the region of the state that has been in the limelight for its deepening agrarian distress. Farmers invest in crops like cotton and groundnut that require irrigation, despite depleting ground-water levels. All farmer suicide cases of Gujarat have been reported from this region. In Saurashtra, out of 11 districts, the BJP failed to win any seat in seven districts. It won 21 out of 54 seats; its lowest victory in terms of seats in the three regions mentioned above. Farmers in Saurashtra have long been promised water from Narmada canals. After a long wait, they saw water flowing in nearby areas, but are not allowed to use it for irrigation purpose. Water is made available to industry but not to farmers. First, the Gujarat government has brought down the originally planned length of the canal network from 90,389 kilometres to 71,748 kilometres. Secondly, 31 per cent of even this revised canal network is still to be built. If we use the originally planned length, this percentage shoots up to 46 per cent. Most of this network is of the minor, sub-minor and field channels. This is the reason farmers at a distance from the main and branch canals will remain without water for a much longer time. Rebari highlights another crucial point saying that in absence of canal network, the government allocated water to industry more than what was planned earlier. This triggered resentment and precipitation of a perception that the government was more industry-friendly, even at the cost of farmers’ interests. Farmers in this region say the increasing input costs have not matched with the government’s MSP. According to them input costs were much lower a decade ago. During the last assembly elections in 2012 and in the general elections in 2014, Modi blamed the then Union government of the United Progressive Alliance led by former Prime Minister Manmohan Singh. He promised a MSP of R2,000 per bag of 20 kg once elected as the prime minister. During the general elections BJP swept these regions, winning from all seats. After three and half years of the NDA government, that promise remains unfulfilled. Farmers now demand only R1,500, but that is also not being fulfilled. In October 2017, just before the elections, the state government promised to provide R100 extra after MSP. Then the MSP was R854 for every 20 kg of cotton. However, farmers say that the government, in fact, didn’t purchase cotton from farmers thus making that little bit earning also uncertain. 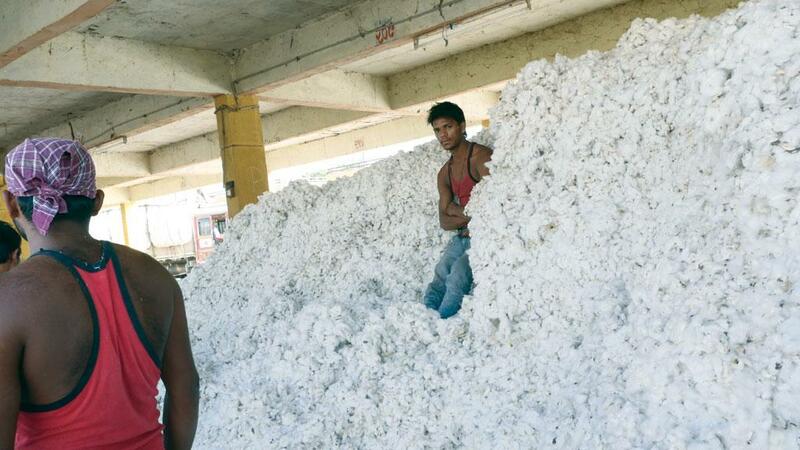 Price volatility of cotton further added to far-mers’ woes. The market price of cotton was R900, one of the lowest in recent years, when the state was going through assembly elections. Erratic weather and increasing pest attacks meant harvest of market-quality produce was low and farmers were not able to get the market price effectively. This is a drop of close to 25 per cent in market price from 2012-14, when it was R1,200. Groundnut farmers also faced price volatility and lack of government help in ensuring a decent price. Before the elections, the government declared R900 for 20 kg of groundnut as its MSP. However, across markets in the state, farmers sold their produce at lower prices while hardly a few farmers could access the government procurement system. First, the government’s dedicated R500 crore funds for groundnut farmers as MSP was inadequate. Second, the government made it mandatory for farmers to first apply to be covered under the MSP and with the condition that their name must appear in a list finalised by the government to be eligible for procurement at MSP. It led to delay in procurement and government’s reimbursement for MSP. This led to a distress sale in Saurashtra when farmers sold groundnut at R750/20 kg as they couldn’t wait longer to avail the government rate. Gujarat is the country’s highest producer of groundnut and keeping in mind the situation and electoral impacts, the Union government directed its agencies for massive procurement. But that also couldn’t lift the farmers’ hope much. On the other hand, the market rate for groundnut is dictated by the wholesale price of groundnut oil. It was just R100/kg last November-December. Buyers couldn’t offer a price for groundnut that would be higher than this oil rate. The elections of December 2017 just blew the lid of the rural distress Gujarat has been experiencing for decades. In fact, the “Gujarat Model” has many indicators of distress that the so-called less developed states like Madhya Pradesh and Rajasthan also share. For example, despite being termed as an urbanised state, it has a large rural population. Close to 70 per cent of rural households are agricultural households. This is a level that just comes after Uttar Pradesh, Madhya Pradesh and Rajasthan, and one of the top five states with such a high level of agricultural households. In rural Gujarat, around 70 per cent of households’ monthly income is less than R5,000—less than R160 per day per family of five members. Out of this earning, close to 62 per cent comes from agriculture, not much behind Punjab’s 69 per cent. And electorally, BJP has been consistently voted out in these regions with visible agrarian distress. In fact, the main opposition Congress party has been getting above 38 per cent votes since 2002 elections, and its vote share comes mainly from such regions. 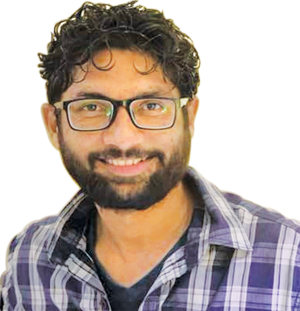 Jignesh Mevani, an MLA considered to be one of the most vocal youth leaders emerging in the recent elections, says, “The rejection of BJP by rural people has busted the myth about the Gujarat Model of growth which was used to win elections in the Centre and other states as well.” R S Pundir, professor and head of Agribusiness Economics and Policies department in Anand Agricultural University, says that productivity is not the basic problem. The main issue is marketing. He says that 40 mandis of Gujarat have been linked to eNAM. It is a pan-India electronic trading portal which networks the existing APMC mandis to create a unified national market for agricultural commodities. However, none of the farmers were linked to this system. So in the end, the beneficiaries are brokers, businesspeople and not the farmers. He suggests that there is a need to promote self-help groups, cooperative models like the famous Amul from Gujarat. It will give farmers the bargaining power and good price for their produce. It should be remembered that 84 per cent of farmers in Gujarat are small and marginal and they cannot bargain for the produce alone. “It is a clear reprisal of farmers against the ruling BJP government,” says Devinder Sharma, an agriculture expert. “It is the message to the nation where 650 million people are still engaged in agriculture,” he adds. The empathic victory in Himachal Pradesh and the further continuation of 22 years of rule in Gujarat has bolstered the Bharatiya Janta Party’s (BJP) grip on the Indian polity. BJP and its alliance now govern 19 states, one more than Congress during the height of Indira Gandhi’s tenure as prime minister. In Himachal Pradesh, BJP won almost a two-thirds majority, but the Gujarat election garnered more attention, as BJP lost 16 seats from 2012—reducing the party’s tally to double digits for the first time since 1995 when it came to power in the state. After the Left parties in West Bengal, BJP in Gujarat is only the second non-Congress party to win elections for six consecutive terms. Does this mean that the so-called Gujarat model of development has won again? Or did the kinds of discontent suggested by many media reports manifest themselves in elections? Political scientist Neelanjan Sircar has made an interesting observation about the relationship between BJP’s performance and the role of agriculture in the economy. Among those constituencies outside major cities, where less than 50 per cent people are involved in agricultural activities, BJP’s strike rate is a strong 73 per cent (just 7 percentage points less than 2012), but where more than 65 per cent people are engaged in agricultural activities, the BJP’s strike rate falls sharply to 30 per cent (19 percentage point less than 2012). In 15 border districts of Gujarat comprising 45 rural-dominated constituencies, the BJP could only win 8 seats. These districts primarily have farmer and tribal population. What do these trends suggest for national politics or for the upcoming elections in Karnataka, Rajasthan, Madhya Pradesh and Chhattisgarh, which are going to polls this year? Among these states, three are ruled by BJP and one by Congress. In Madhya Pradesh and Chhattisgarh, BJP has ruled since 2003. Unlike Gujarat, where 44 per cent of the population lives in urban areas, these three BJP-ruled states are far less urbanised and recent farmer protests in Madhya Pradesh and Rajasthan should raise alarm bells in BJP. In the 2014 parliamentary election, BJP swept in Bihar, Chhattisgarh, Delhi, Gujarat, Himachal Pradesh, Jharkhand, Madhya Pradesh, Maharashtra, Rajasthan, Uttar Pradesh and Uttrakhand. Since 2014 the Gujarat model of development has dominated the political debate and an aspiration towards that model gave a solid majority to BJP and its allies at the Centre. But the Gujarat election outcome suggests that farmers, the tribal population and those from regions far removed from industrial areas are raising questions about the so-called Gujarat model of development. This suggests either they are not happy with this kind of development or they are yet to benefit from it, even though the same party has governed the state for over two decades. The government must realise and address the problem. Four states with a predominantly rural population that have witnessed a huge agricultural crisis and large-scale farmer protests would hold assembly elections in 2018. After a relatively poor result in rural Gujarat recently, should the Bharatiya Janata Party be worried about its electoral prospects? Immediately after the victory in Gujarat, however narrow it might have been, Prime Minister Narendra Modi and Bharatiya Janata Party (BJP) president Amit Shah celebrated with party members in Delhi. In one of the meetings with BJP parliamentarians, both Modi and Shah faced questions from them on an impending agrarian crisis. These parliamentarians mostly came from four states: Madhya Pradesh, Karnataka, Rajasthan and Chhattisgarh. These states will go to elections this year and, barring Karnataka, have BJP governments. The message from Gujarat was disturbing for these parliamentarians for two reasons: first, the poll showed a negative sentiment against BJP on the state of rural development; and, second, unlike Modi’s home state, these four states are predominantly rural. More importantly, these states are going to build up the sentiment for the general elections in 2019, when BJP will seek to repeat its historic feat of 2014. So will rural communities go against BJP? The fear is not without reason, both in terms of rural distress and in terms of electoral ramifications. These four states currently account for close to one-third of BJP’s Lok Sabha seats; it won 85 per cent of the total Lok Sabha seats in these four states in the 2014 general elections. 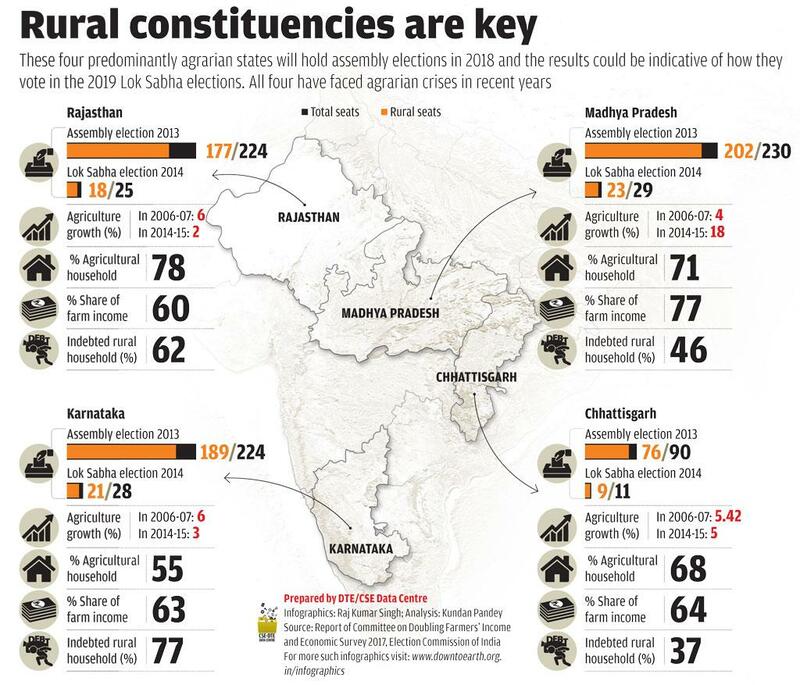 The four states have 744 legislative seats of which 600 are rural constituencies. And like in Gujarat, all the states have witnessed farmers’ protests in recent months. Based on newspaper reports, since 2014 the four states have reported 98 protests over issues like crop damages, dipping prices of agricultural produces and demand for agri-loan waivers. In all the states the share of farm income in rural households’ total income is above 60 per cent. And the share of agricultural households in total rural households is in the range of 60-70 per cent. On the other hand, agricultural growth has been slowing down. The country as a whole reported one of the lowest agricultural growths in the last three years, an average of less than 2 per cent. These states feature in the top five states with highest number of indebted rural households. The governments of Chhattisgarh, Madhya Pradesh and Rajasthan have already declared drought in 52 districts in December 2017 and have demanded a combined relief package of Rs 11,186 crore from the Union government. On the other hand, Karnataka, Andhra Pradesh, Rajasthan, Kerala and Tamil Nadu had declared drought in over 50 per cent of their districts and demanded assistance of Rs 54,772 crore. It means in most poll-bound states the harvest is under threat, indicating a fresh round of farmers’ distress. In 2017, there were widespread farmers’ protests during February-April with demands of compensation for crop damages and fair remuneration for produces. Agriculture prices crashed in April-June 2017, just when the country harvested a bumper yield. In Madhya Pradesh, reports show sowing of wheat in the ongoing rabi season has been impacted due to low levels in reservoirs and a deficient monsoon in parts. Before this, the southwest monsoon in 2017 ended with an overall shortfall of five per cent from the normal. In about a third of the country’s 630 districts, the rain was deficient. It shows that these four states in specific and the country in general would not be able to compensate for the losses of the last two years despite a near normal monsoon and a bumper harvest. In fact, in all recent farmers’ protests demand for remunerative price for the produces has been the main issue. Last September, Rajasthan witnessed its biggest farmers’ agitation in recent history in Sikar. This agitation took place after the Union government declared a set of regulations for livestock trade. For farmers of Rajasthan, both crops and livestock contribute equally for sustenance. Over 15,000 farmers gathered in Sikar to demand complete farm loan waiver, implementation of the recommendations of the Swaminathan Commission, the withdrawal of the ban on cattle trade, a solution to the menace of stray cattle and a pension for farmers. In Karnataka, the only Congress ruled state among the four going to polls this year, agrarian crisis is set to be a major issue. The monsoon was better in 2017 than the previous years and farmers here are happy, expecting a better yield of cotton. But of these four pollbound states, Karnataka also has the highest number of indebted households. Its northern region is yet to recover from three consecutive droughts in 2014-16. A report by a committee headed by Price Commissioner T N Prakash Kammaradi states that the suicide trend, which began in mid-1990s, is spreading across the state, except for Malenadu and Coastal regions. In 2015, Karnataka saw 978 farmer suicides, 70 per cent of which were by small and marginal farmers. Though Karnataka was first among the states to set up a Price Commission for agricultural produces, there is a dire need for change in the way MSP is worked out. For some crops the MSP hardly touches 73 per cent of the total production cost. Even the MSP for paddy, which is bought by the state government directly, is approximately 83 per cent of the production cost. Also the mechanism of providing MSP needs to be overhauled. For instance, in 2014-15 only 41 per cent of the 17 crops that were provided MSP reached controlled market. But only 53 per cent of these crops sold got more than the MSP. This is a clear example of failure in market intervention. In Madhya Pradesh, the effects of the Mandsaur farmers’ protest are still being felt. The agriculture land in the district is quite fertile and the peasants more prosperous than those in other parts of the state. But on June 6, 2017, the police had to open fire to quell a violent protest, resulting in the death of six farmers. The farmers were demanding loan waivers and better prices for their produce. The agitation began after onion prices crashed following a bumper crop and no buyers. Kedar Sirohi, founder of the Aam Kisan Union, a non-political organisation working for the welfare of farmers in Madhya Pradesh, says, “The government claims it has taken several measures for the welfare of farmers. But the fact is that farmers are being exploited by traders and bureaucrats.” In view of fluctuating market price of the crops, the state government launched the Bhavantar Bhugtan Yojana or Price Deficit Financing Scheme. The scheme aims to compensate peasants for crops sold at prices below MSP. However, the state government did not agree to the demand to waive loans and has brought a new formula. Rajesh Rajora, Principal Secretary, Madhya Pradesh Agriculture Department, explains, “If the selling price of the crop falls below MSP, the government will pay the difference of the amount to the farmer. The difference will be credited directly into the farmer’s account.” Rajora says the scheme will help the cultivators to get the remunerative price for their crops. About 40 per cent farmers have registered for the scheme. The government will provide compensation for eight crops including oil seeds and some pulses under the scheme but the scheme will be extended to cover horticultural crops, he adds. The nervousness of the Union government due to political ramifications is visible. Just before the Gujarat elections, it tried to stop import of many commodities including pulses to ensure that prices didn’t drop below MSP and the 2016 level. Stockholding limits on pulses were lifted in May followed by the imposition of quantitative caps on import—200,000 tonnes for arhar and 300,000 tonnes for urad and moong per year—in August 2017. In September, export restrictions on arhar, moong, urad were lifted. This was extended to other pulses in November, along with a 50 per cent import duty on white peas. In November, tariff on wheat was doubled to 20 per cent and similar hikes were announced for all edible oils. In December, a 30 per cent duty was levied on chickpea and masur imports. But these steps were late and are unlikely to stabilise the prices for farmers. Moreover, the US Department of Agriculture is now projecting the highest ever global closing stocks of wheat and rice for 2017-18, and record production of oilseeds, sugar and milk. So, it throws a challenge to the government to ensure the right prices for farmers. Recently, the committee set up by the government to suggest ways to double farmers’ income has released six reports. These reports have some clues to both what it needs to do to ensure fair prices for farmers and also how to reap political dividends. According to these reports, India recorded its best decadal agricultural growth during 2004-05 and 2014-15. Agriculture sector grew at 4 per cent per year during this period compared to 2.6 per cent during 1995-96 and 2004-05. This is the period that coincided with the BJP government led by Atal Bihari Vajpayee. The tenure witnessed widespread agrarian crisis and farmers’ suicide cases reported an unprecedented rise. But for the agricultural growth in the decade of the United Progressive Alliance rule that followed Vajpayee, the government committee points to a hike given to MSP, increases in foodgrain procurement, the rise in global agricultural prices and strong domestic demand for food. In December, credit rating agency Crisil made a forecast that due to normal monsoon and bumper yields, farmers would not get the desired prices. That is precisely what will become a major election issue. 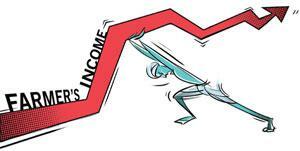 It is no wonder that when farmers’ organisations met Finance Minister Arun Jaitley for pre-budget briefing, they handed over a piece of data: a farmer’s daily median income is Rs 50. And they also warned that farmers are under no illusion that the government is thinking about them. The achievement of the recent Gujarat elections is significant in terms of people’s response to the so-called Gujarat Model. The ruling party had been arrogantly claiming it would win 150 seats. But the people of Gujarat limited them to two digits (99). In the past couple of years, the Gujarat model of growth has been questioned by several communities including Patidar, Dalit and other backward classes. Even farmers, ASHA and Anganwadi workers, government employees and businesspersons in cities such as Surat have come on the roads to express their anger. Though the Bharatiya Janata Party (BJP) has managed to retain power, these protests and the party’s poor performance underlines at least one truth: their model of growth is not inclusive. Even though BJP has been claiming that their Gujarat model rests on Sabka Sath Sabka Vikas (collective efforts, inclusive growth), the aura created around the “Vibrant Gujarat” has also gone bust this election. This is important in the sense that the ruling party was selling this growth model not only in India but globally. 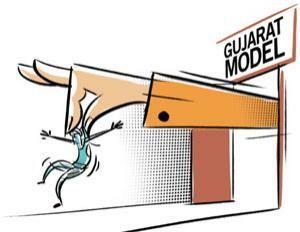 The assembly results show that the people of Gujarat have rejected this model. And this rejection has come from all quarters, including Dalit, Patidar, youths, women and farmers. They have highlighted that they are not getting their due. People living in other parts of the country have also sensed that there is something wrong in Gujarat. During the last Lok Sabha elections, Narendra Modi became the Prime Minister by promising jobs to 20 million youths every year. Going by his claim, by now, he should have created 80 million jobs. So far, he has not even provided jobs to 0.8 million youths, which is just 1 per cent of his target. In Gujarat alone, around 4.5 million youngsters are unemployed and around 5 million youths participated in the state elections as first time voters. They have aspirations. They have shown their anger during the voting. In the case of farmers, they are not even getting the minimum support price for their produce. After allocating Rs 90,000 crore to the Narmada canal, 50 per cent of the work has not been completed. Even farmers who live close to the portions where the dam work has been completed do not have access to drinking water. These are sharp contrasts to the claims generally made by the ruling BJP government. 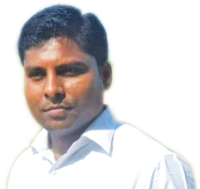 Agrarian crisis is quite deep in Gujarat and the government has no will to resolve it. Farmers in most parts of Gujarat have no irrigation facilities. In my Right to Information application, it has been revealed that more than 0.45 million farmers have been waiting for the past four-five years for electricity connections. So, they are forced to use diesel gensets for irrigation which is eight to nine times costlier than electricity. This situation has forced farmers to take loans and later commit suicide. The government should construct small check dams to deal with the frequent water crisis. But it has no interest in check dams. And it is strategic because the state government is ruining the farm sector and helping the corporate. Not a single industry in Gujarat pays even the minimum wages to its workers. Similarly, there is no tehshil in Gujarat where all the farmers get Minimum Support Price (MSP). The government believes that the development of farmers and labourers comes much later, and this is the reason for its poor performance in the recent assembly elections. It is this rural distress that helped all of us, Hardik Patel, Alpesh Thakor and me, to galvanise support from all the rural pockets. Farmers all over the country are rising in protest. Back to back droughts, declining agricultural productivity, rising input costs and depressed commodity prices are collectively acerbating the raging agrarian crisis. The National Crime Records Bureau reports a spike in the number of agrarian riots in 2015 by a massive 327 per cent in just a year. That this translates to seven riots a day is a clear reflection of the on-ground situation. Earlier in April and July 2017, Tamil farmers were protesting in Delhi and drawing attention to their plight by eating excreta and displaying the skulls and bones of their peers driven to suicide in the face of drought and debt. In July 2017, six farmers were shot dead by the Madhya Pradesh police while they were protesting in Mandsaur. Tribal people are demonstrating against land acquisition in Jharkhand, farmers in Punjab are blocking trains and buses are being burnt in Bengaluru and Mandya districts in Karnataka. All these and more are clear signs of India’s farm crisis reaching its tipping point. Farming has turned non-remunerative and farmers are being drawn centripetally into poverty from where there is seemingly no escape. The government’s oft repeated claim that it wishes to keep the farm prices high while containing food inflation is not working because it is reluctant to part with money citing fiscal prudence. The electoral promise to ensure a 50 per cent price over the cost of cultivation has been conveniently withdrawn and allocation to social safety nets has been slashed. There are three key risks that face farmers. First is the weather risk, as a majority of farmers depend on the monsoon for cultivation. The second is production related, as sick soils and crop losses due to pests and diseases is widespread. The third risk is associated with prices. 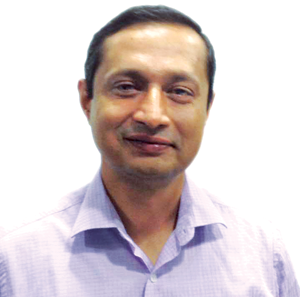 All three risks are ostensibly being tackled by respective governments at the Centre and states through a plethora of missions and schemes running into billions of rupees. In most cases, farmers are either unaware of their entitlements or the process for accessing them is intimidating. The required handholding by state agriculture departments and universities is conspicuously lacking. Rural wages are static while the difference between the price received by farm households and the cost of inputs and consumption that they shell out (terms of trade in economic parlance) has not improved since 2011. The growth in Minimum Support Price (MSP) is ruling lower than rural wages which is pinching farm incomes. In any case, MSP is availed by very few farmers who have a surplus to sell. There is no denying the fact that the workforce to GDP ratio in agriculture is disproportionately high and therefore policymakers advocate farmers to eschew farming and take up alternate occupations. But if farmers have to be pulled out of farming, they also need to be rehabilitated. Skills for non-farm jobs are woefully lacking and, in any case, not enough jobs are being generated. This in turn is inducing rural societies to demand caste-based reservations in jobs. For too long rural India has been facing an existential crisis. Its reaction was evident from the voting pattern of rural households during the recent elections in Gujarat. If the much-vaunted goal to double farmer’s income by 2022 turns out to be a pipe dream, changes in political formations cannot be ruled out. The author is vice president of the managerial advisory firm NRMC. (This article was published first in the 16-31 January issue of Down To Earth, under the headline 'A model on a rampage').